Search, pan and zoom the map to find the perfect location. The giftcard is printed on high quality A4 paper or sent to you in an email. Printout 30x40cm Printout 50x70cm Printout 18x24 inches Free worldwide shipping with a tracking number is included. Do you want it shipped or do you want to pick it up? Rammarnir okkar eru eikarrammar frá Sort København. 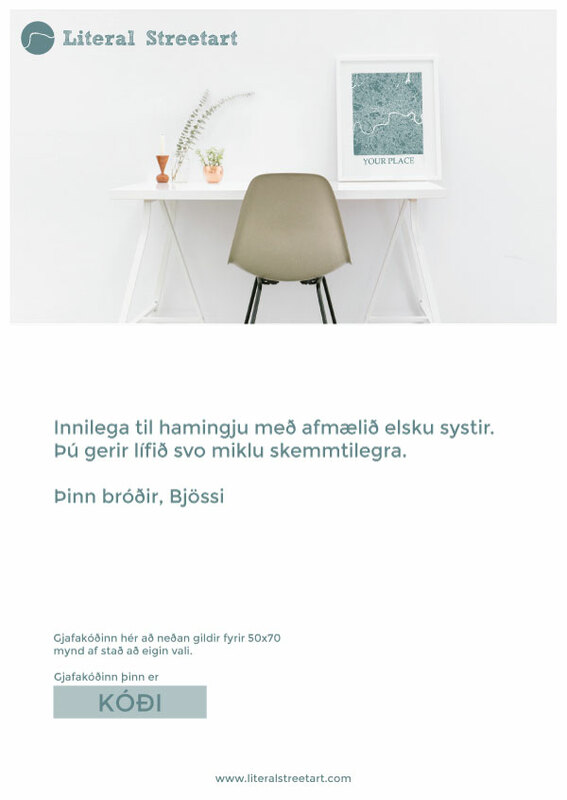 Eikin festist við plakatið með seglum sem gerir innrömmun einkar þægilega.